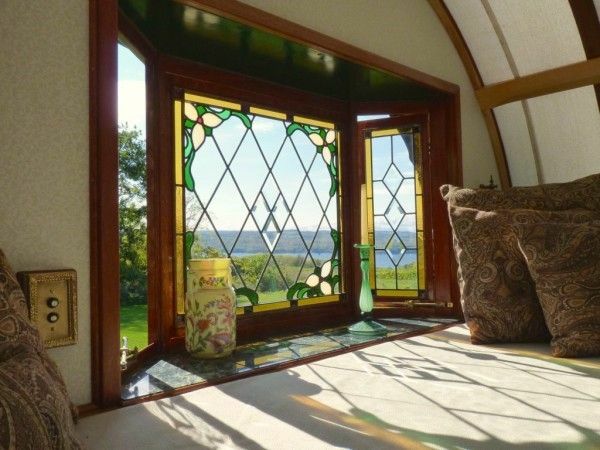 For anyone who believes tiny homes are just a fantasy adventure,-- part romance, part whim, part flight of fancy, this gypsy caravan with its stunning woodwork, Victorian stenciling and stained glass windows will certainly not prove you wrong. 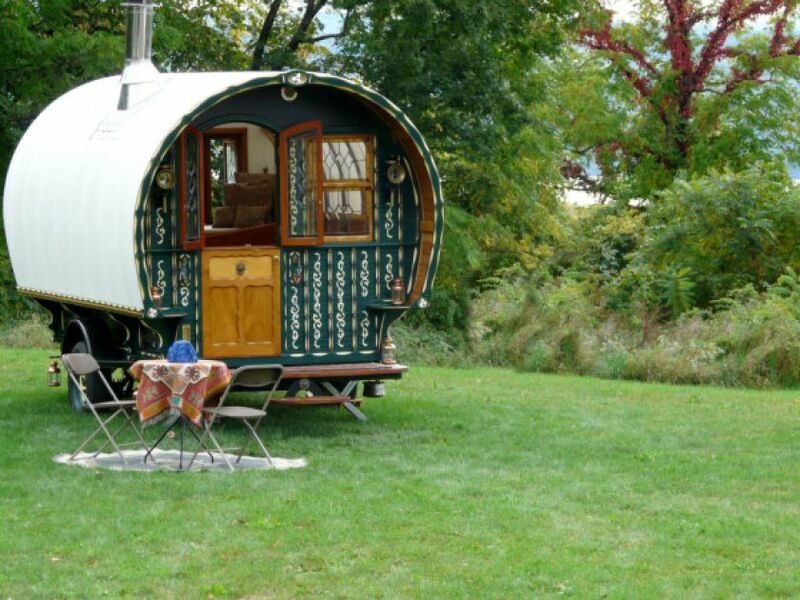 In fact, back in the day, when caravan travel was in style, you would have been hard pressed to find one as beautiful as this. This one is so impressive it challenges the mere concept of adjectives. 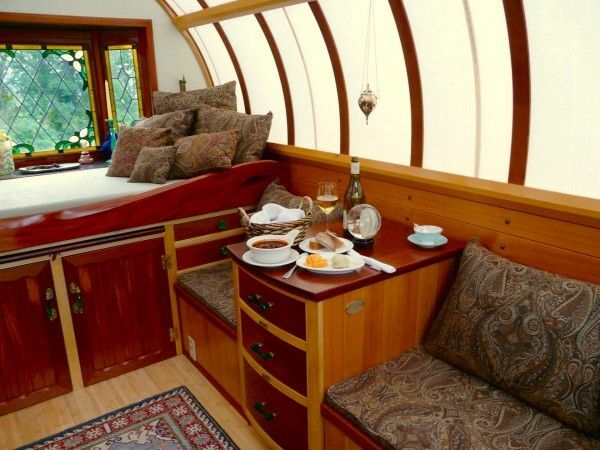 It was built by woodworker, teacher, author and artist Jim Tolpin, who teaches at the Port Townsend School of Woodworking. 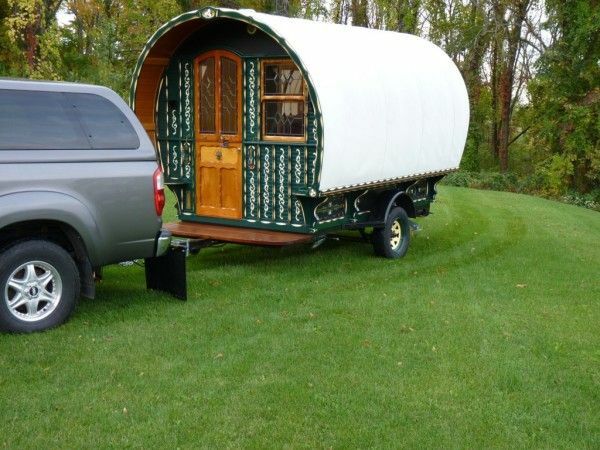 He calls this labor of love the Trillium Caravan. Humbly, let's put words aside and bow to the eloquence of photographs. The front door is not only a Dutch door, but a split Dutch door in which the two windows of the upper half opens in two directions. Here's a view of the bed crowded with pillows. 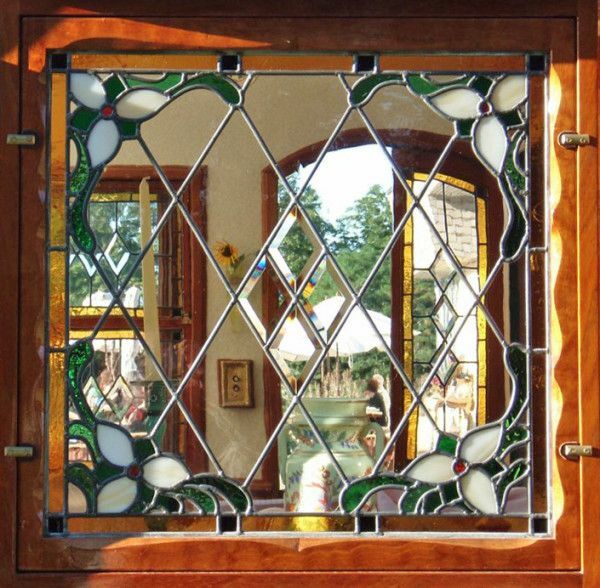 The stunning bay window includes stained glass and diamond-shaped framing. We'll get a closer look in a moment. 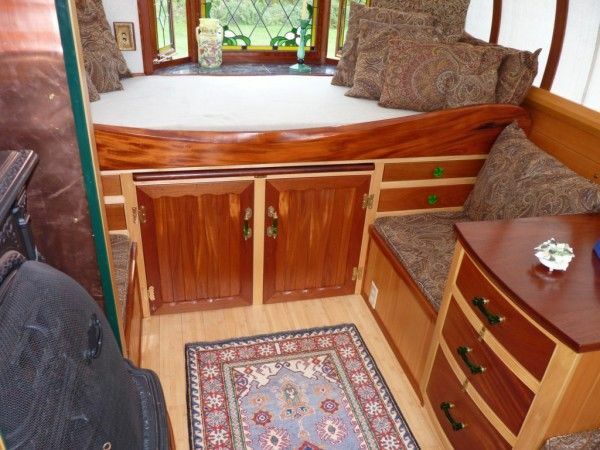 A look at the flooring and the small Persian rug. 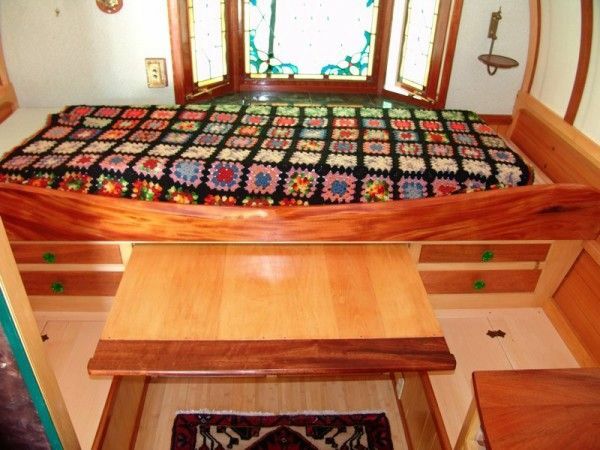 What you can just barely see is the front edge of a table that slides under the bed. 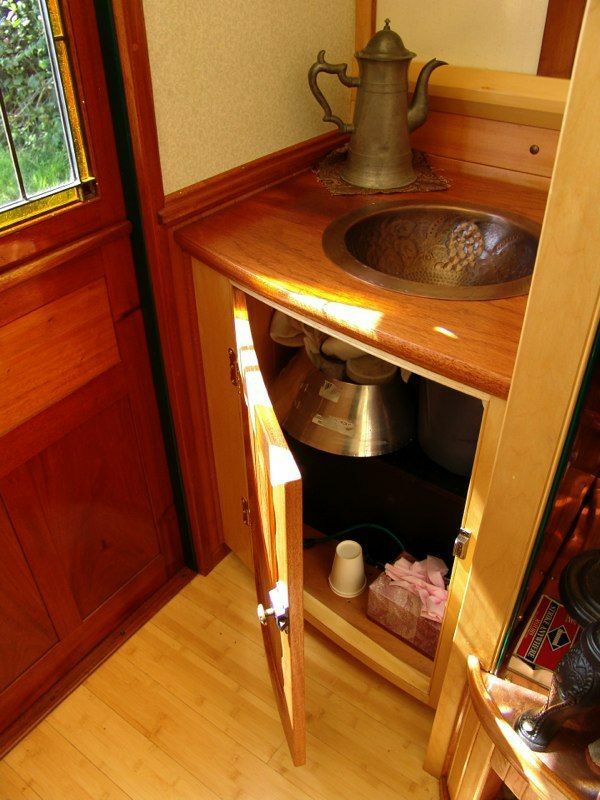 It's that darker line above the cabinet and it's the perfect height for anyone occupying the bench chairs on the left or right. Few homes have bay windows as beautiful as this. 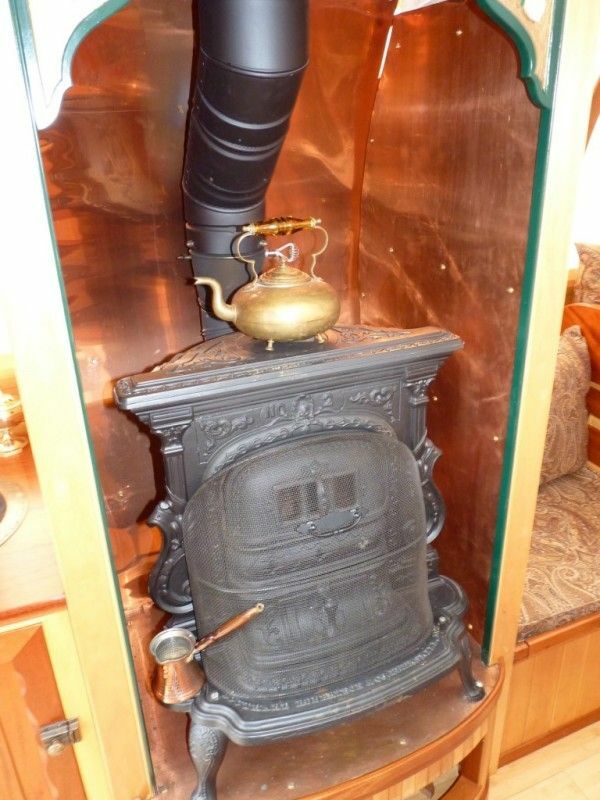 Noting no detail was too small to be unnoticed, even the wall switch in view on the left fits the 19th century styling of the rest of the Trillium Caravan. 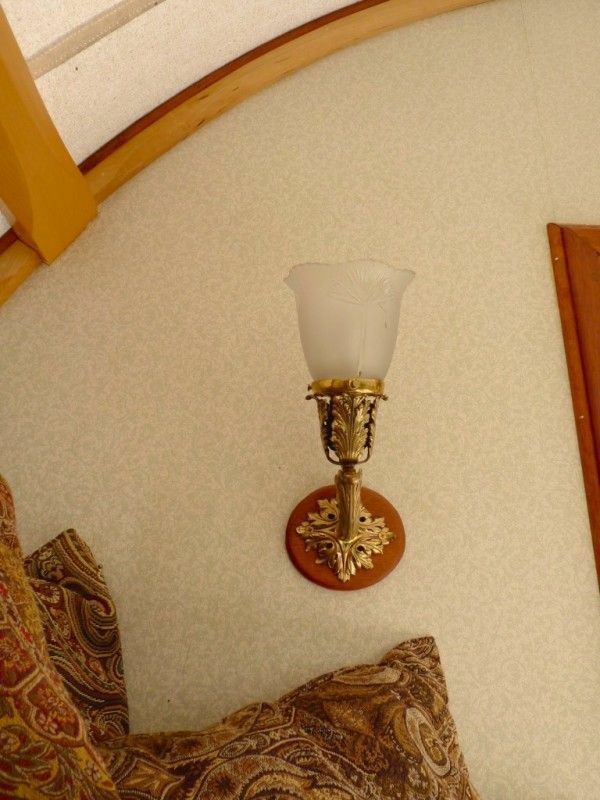 Now, that's a great wall sconce with an etched flower-shaped shade, as well. And what you might encounter if you arrived in time for tea. 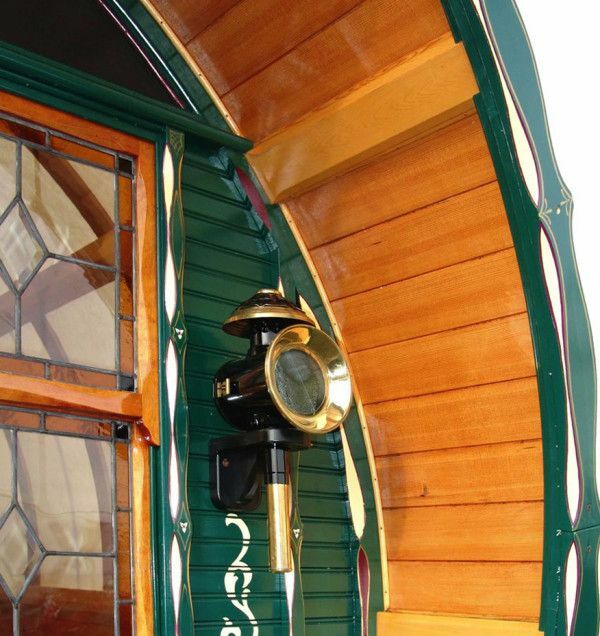 The exterior sconce is well chosen -- styled like a lantern on a railroad car. 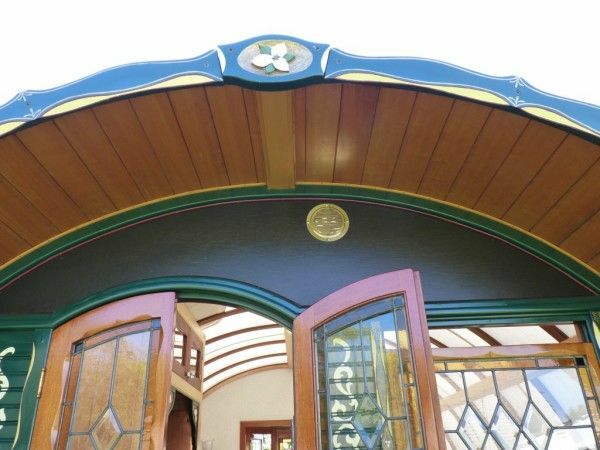 Here are some details of the porch roof. The painted design is eye-catching, but the planks making up the ceiling to this roof are stunning, too. The back window from the outside. 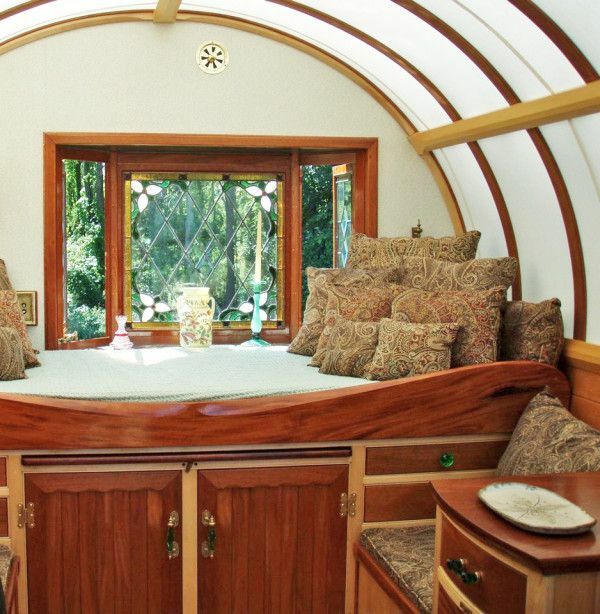 Every detail is stunning in this aptly named Trillium Caravan.